Bowland has boasted a Lord of Bowland ever since William Rufus granted the title to one of his nobles in the early 1090s. 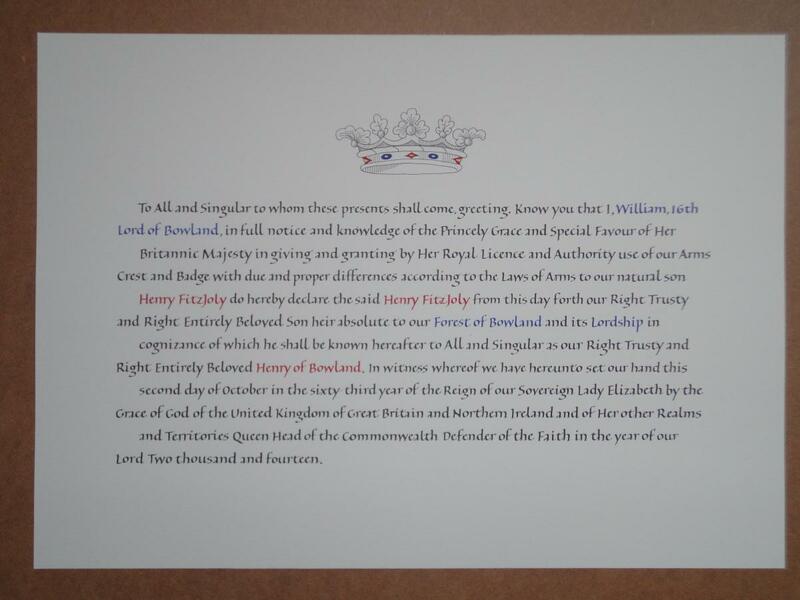 For more than four centuries, between 1399 and 1649, the Lordship was a title of royalty and English monarchs styled themselves Lord Kings of Bowland. In 1660, Charles II granted the lordship to one of his generals to create a dukedom and thereafter, the title was held in succession by seven dukes, three earls and a baron. Yet, after 1885, the lordship was lost for more than a century before being rediscovered by a researcher in 2008 and claimed from an extinct family trust. Although less extensive than today’s Area of Outstanding Natural Beauty, the Lordship of Bowland once covered an area of almost 300 square miles. It comprised a Forest and a Liberty of ten manors spanning eight townships and four parishes. These manors included Slaidburn, Newton, West Bradford, Grindleton, Knowlmere, Waddington, Easington, Bashall, Mitton, Withgill (Crook), Leagram, Dunnow (formerly Battersby) and Hammerton. 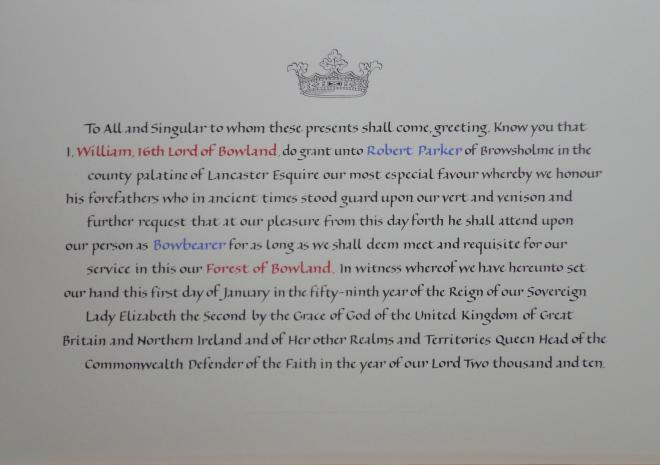 Today’s Lord of Bowland no longer owns land, but he does retain a number of ancient rights. 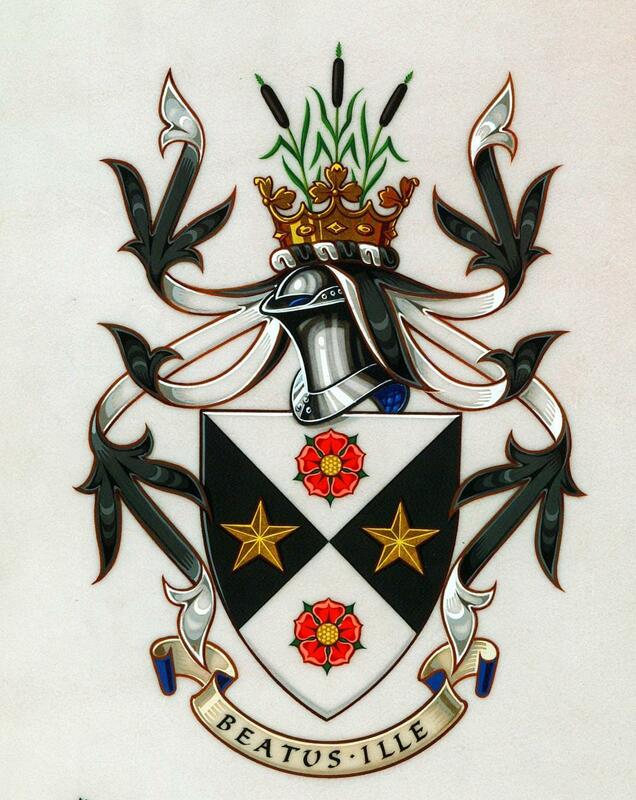 These include the rights to appoint a Chief Steward (known formerly as a Master Forester) and to appoint one or more Bowbearers, a ceremonial attendant who by tradition accompanied the Lord of Bowland during hunting but in later centuries became an officer of the Lord's forest courts. In 2010, Robert Parker of Browsholme Hall was appointed Bowbearer of the Forest of Bowland, the first in almost 150 years. Clitheroe surveyor Michael Parkinson was appointed Chief Steward of the Forest of Bowland one year later. By custom, the Lord of Bowland is also known as The Lord of the Fells. 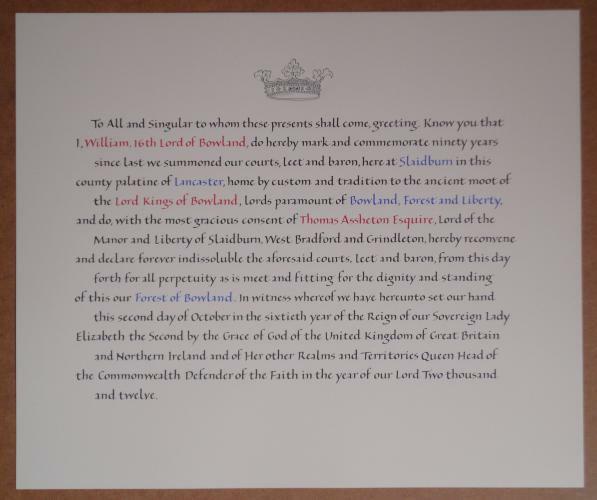 Since 2009, the current Lord of Bowland has played a ceremonial role in Forest life, dedicating himself to good causes, including support for the Slaidburn Archive, schools visits, public lectures, official openings, charitable fundraising and sponsorship. Launched in 2011, the Lord of Bowland Annual Lectures take place in early October each year and have proven hugely popular with local history enthusiasts. In 2015, William Bowland commissioned acclaimed Lakeland composer Christopher Gibbs to produce The Music of the Forest, a four-part song cycle celebrating the history of Bowland, which had its world premiere in the Forest in June 2017. Please note: the Lordship would not normally become involved in lobbying or campaigning activities related to the Forest.